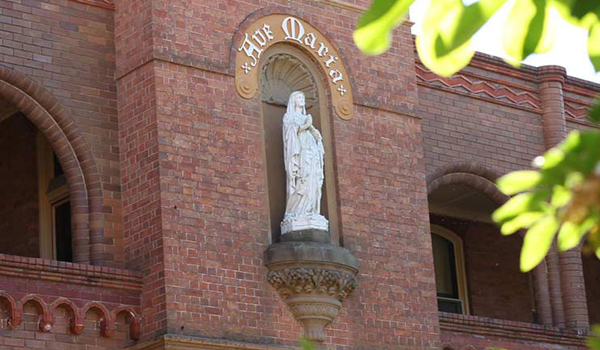 In 1995, the Sisters of Mercy Singleton embraced the Mercy values of spirituality, service, hospitality and culture and decided to open ‘Sacred Spaces’. The buildings and grounds are spacious and beautiful: cedar and stained glass, wide verandahs and cloisters, covered walkways and delicate lattice detail — perfect for tours and weddings. But while the grounds are charming, the tours have dropped off recently and there is a desire to improve Sacred Spaces' position in the competitive wedding market. Sacred Spaces needed a plan to propel the business into a new direction. Sacred Spaces Manager Cynthia Mullholland booked an appointment on the Business Bus on its visit to Singleton in May 2017, hoping to get some guidance on how to achieve these goals. The Business Connect Advisor Jelinda Millgate discussed a few ways that Sacred Spaces could improve their digital marketing, and encouraged them to work with Singleton Chamber of Commerce to showcase the venue locally by hosting a chamber event. Cynthia was incredibly impressed with Business Connect and appreciated the opportunity to have a fresh perspective from an independent third party to re-inforce what she was doing well and give her some new ideas to incorporate as well. 'My advisor, Jelinda, was very knowledgeable and grounded in common sense when it came to the business. I had complete confidence in what she was saying and took all her ideas with great enthusiasm,' Cynthia said. Sacred Spaces have now become a member of the Singleton Business Chamber and has agreed to host an upcoming event which is currently in the planning stages. Cynthia has also become a vocal advocate of Business Connect and encourages local businesses to take advantage of the opportunities provided by the program.